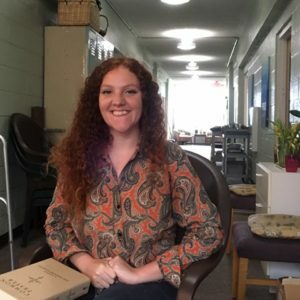 Please join us in welcoming Mary Sullivan as the newest Hospitality Coordinator for Haywood Street Respite. Mary has been involved with Haywood St. for a little over a year, participating in Story Circle and the Downtown Welcome Table, sharing her musical talent with the community, and serving as an overnight host and companion at Respite. Welcome Mary!